Due August 4, the UK band will deliver a remastered edition in various packages, including a 7-disc Super Deluxe Edition, 3CD Deluxe Version, 1CD Vanilla Version, 2-LP Black Vinyl Version and a limited edition 2-LP Colored Vinyl Version. The reissues include B-sides and live tracks, plus the audio for “In The Round In Your Face (Live)” on CD for the first time. Among the new versions, the Super Deluxe Edition features 5-CD/2-DVDs including four books—Story Of; a Ross Halfin photo book; Discography; Hysteria Tour Program and Tour Poster. A track list for the Super Deluxe Edition can be found below. 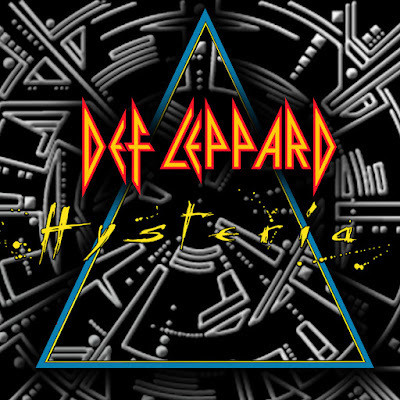 Produced by Mutt Lange, “Hysteria” reached No. 1 in the band’s native UK and the US, where it went on to achieve Diamond status for sales of more than 10 million while selling more than 25 million worldwide. Def Leppard are currently playing dates across North America with Poison and Tesla; the three-month run will wrap up in Indianapolis, IN on June 25. "Hysteria 30th Anniversary Super Deluxe Edition"